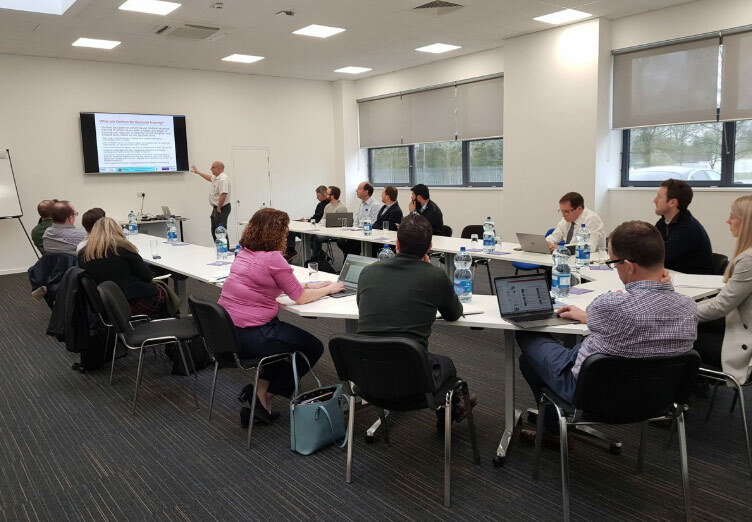 The new EPSRC-SFI research centre AMS CDT was launched in Ireland on Friday 22nd March 2019. This centre will provide a great opportunity for the PhD researcher to gain the skills and experience needed to become leaders in the dynamic area of advanced manufacturing, as well as for the sponsoring companies to solve their manufacturing challenges while directly accessing the next generation of highly-trained graduates. This centre provides a supportive and exciting environment for students, create new working cultures, build relationships between teams in universities and forge lasting links with industry. Students are funded for four years and include technical and transferrable skills training, as well as a research element. In providing this training, the expertise and facilities at DCU fit well with those at the universities of Sheffield, Manchester and UCD. In particular, the complementary metal additive manufacturing, powder metallurgy, laser processing facilities, staff research expertise, industry engagement, and training facilities all enable a much higher level of training provision than would be otherwise possible. The AMS CDT centre in Ireland is led by Prof Dermot Brabazon.